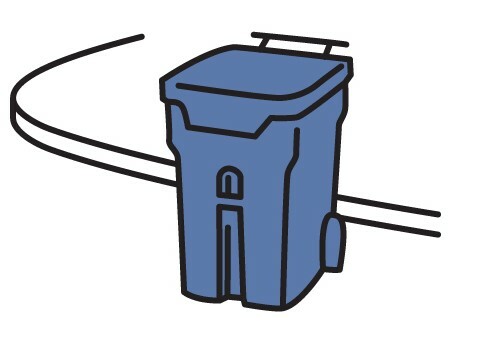 Automated Waste Collection is here in the Town of Barrhead. It's a cleaner, safer, and smarter way to collect waste. Low Density Residential use black wheeled waste carts while High Density Residential, Businesses, and Institutions will receive collection bins. The automated trucks empty the carts and bins using a mechanical arm, making collection safer for our workers. All single family homes and duplexes are provided a black automated waste cart. Follow these steps to ensure collection. 3. SPACE IT Leave at least 1m (3ft) of space around all sides of the cart. An arm’s length is roughly 1m. Keep your cart clean, well maintained, and secure on your property when not in use. Ensure that all waste is securely contained in disposable waste bags within the cart. Place your cart in front of your residence by 7:00am on your scheduled collection day. Have your cart off the street by 11:00pm on your scheduled collection day. Overfill your cart. The lid of your cart must close completely to be collected properly. Leave your cart on the sidewalk or property for collection. 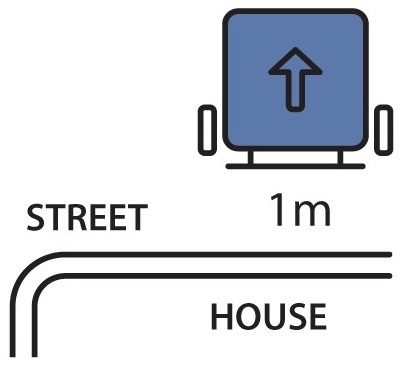 Carts must be located on the road, 1m (3ft) away from the curb or shoulder, to be properly collected by the truck. Place garbage beside your cart. All garbage must be within the cart and the cart free of any interference. Collection carts are provided by the Town to every single-family residence or duplex unit. They are the responsibility of the resident to care for. If a cart is destroyed or lost, the resident must reimburse the Town in the amount of $100 before they will be provided with a new cart. If a cart has suffered minor damage, in most cases the Town can conduct repairs. Contact the Town Office at 780-674-3301 or town@barrhead.ca for cart concerns, repair requests, or for replacement.